With the salbutamol saga behind him at long last, it seems only fatigue and the fiery French fans can stop Chris Froome continuing his dominance of the grand tours as the most prestigious of them all begins today. The 105th edition of the Tour de France rolls out on the island commune of Noirmoutier off the Vendee coast with a flat, 201km stage to Fontenay le Comte. Froome is looking to win the race for a fourth successive year and fifth time overall. 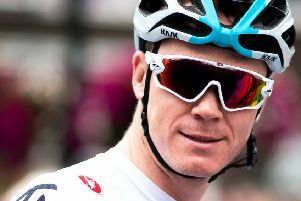 He is also seeking to make it four Grand Tour wins in a row, following on from his successful pick-pocketing of fellow Briton Simon Yates in May’s Giro d’Italia when a daring descent and long-range breakaway two days from the end turned the race on its head. Froome showed his attacking best to win a third three-week race in a row and join exclusive company in doing so. It was his first victory at the Giro and there was a freshness about it, whereas in France he has become almost untouchable, and with it, unlikeable. Twelve months ago he was at his race-leading best; managing the pace, surviving, repelling attacks. He did not win a stage but, after assuming control of the leader’s yellow jersey from Team Sky team-mate Geraint Thomas on stage four, he lost control of it only once. That day on a brutal uphill summit finish to Peyragudes when Romain Bardet left him cycling sideways, Froome offered his general classification rivals the first glimmer of hope that he was vulnerable. It is that chink in the armour, plus the hope that he is tired after the exertions of the Giro and a draining fight to clear his name in public, that will provide optimism for his rivals. Bardet will certainly believe he can challenge Froome again, the Frenchman having been on the podium the last two years. His time-trialling is a weakness and this year’s 31km race against the clock comes on the decisive, penultimate day. In the last five years, only one man has won a yellow jersey other than Froome, Vincenzo Nibali doing so in 2014 after the champion had crashed out. Cynics would point to Froome’s absence as the reason the Italian prevailed, but for those of us with fond memories of that golden weekend in Yorkshire, the way Nibali attacked into Sheffield to win stage two left a lasting, positive impression. If Nibali is erratic but dangerous, then another contender has proven in recent years to be neither. Nairo Quintana burst onto the scene five years ago when finishing as runner-up to Froome but since then he too often has flattered to deceive. Constantly in Froome’s rear-view mirror, the Colombian has often loomed large without ever making his presence felt. Tom Dumoulin looks a more serious contender, winning last year’s Giro and finishing second to Froome two months ago. 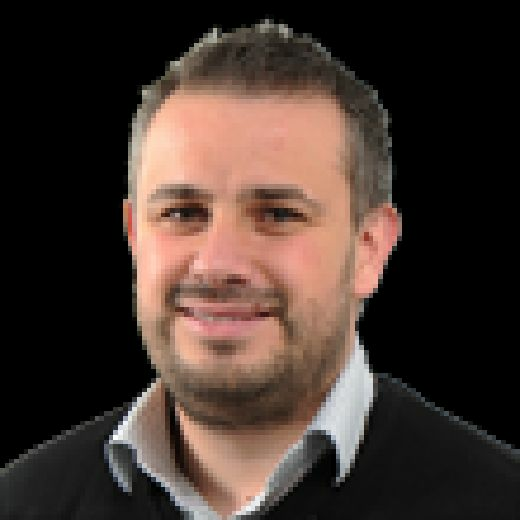 Richie Porte, a former Team Sky rider, is still to prove he can last the three-week battle while Froome’s biggest challenge could come from within, that of Welshman Thomas, who is so close to being a general classification contender that he may move teams at the end of the year to realise his potential. Another Briton with yellow jersey ambitions is Adam Yates, who might just finish the job brother Simon came so close to completing in Italy. They are the challengers on the road. Off it, Froome will be examined at every juncture by the press and already his arrival in France has met with a frosty reception from home fans; who in the past have shown their distrust and dislike of the four-time champion by spitting on him or throwing urine at him. Beyond the race for yellow, the sprint stages will be fascinating as Mark Cavendish seeks to add to his 30 wins against a stellar sprint line-up consisting of Marcel Kittel, Andre Greipel, Dylan Groenewegen, Fernando Gaviria and the supremely-gifted Peter Sagan. He could be one to watch on the cobbled stage into Roubaix on Sunday week, after which the race moves into the Alps, the Pyrenees and onto Paris, by which time Froome – love him or hate him, trust him or doubt him – could be in yellow once more.